Bradan Orach is Gaelic for golden salmon. Cured with salt only and smoked for longer. 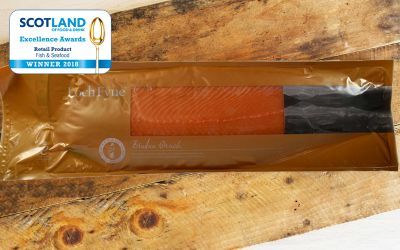 Bradan Orach, golden salmon in Gaelic, winner of the Great Taste Awards 2016 2 stars, and the winner of the Fish & Seafood category of the Scotland Food & Drink Excellence Awards 2018, is a full flavoured smoked salmon. 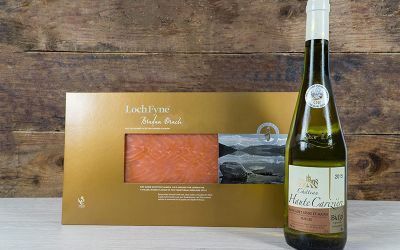 Fresh Loch Fyne Scottish Salmon fillets are dry cured with salt only, then smoked for longer over oak shavings from retired whisky casks for a fuller, richer flavour in the traditional Highland style.